In 1543, Sher Shah Sur ordered his general Haibat Khan Niazi to restore the peace to Multan subah by expelling Balochs from it who had devastated and plundered these parts during the time of Mongol (Arghun) raids. Haibat Khan first pursued the robber chief Fateh Khan Jat of Kot-Kabula who had devastated the entire tract of Lakhi jungle and was robbing and killing the travelers in the area. One of the chief associate of Fateh Khan Jat was Meedu Baloch whose Balochs were in league with Jats in their predatory activities. Some of the Baloch chiefs in the region like Chakar Rind cooperated with Afghans in the chastisement of Fateh Khan Jat and Meedu Baloch. Another powerful Baloch chief in the region, Fateh Khan from the Dodai tribe, who had earlier submitted to Sher Shah in 1541, was now up in arms against Afghans and Bakhshu Langah. Haibat Khan Niazi prevented the union of Fateh Khan Jat of Kot-Kabula and Fateh Khan Dodai Baloch at Multan, by lodging his army at Pak-Pattan. Fateh Khan Dodai didn't make any movement from Multan, but the other Fateh Khan, the Jat, and his Baloch associate Meedu, fled from their stronghold of Fatehpur and proceeded towards the desert of Rajputana. On his way, they took shelter in a mud fort. Haibat Khan hotly perused them and besieged the mud fort in which they were taking shelter. Realizing the hopelessness of their situation, Fateh Khan Jat sought the help of Shaikh Ibrahim to act as an intermediary. The latter was descendant of renowned saint Shaikh Farid Ganj-Shakar who was revered greatly by Afghans. Fateh Khan Jat surrendered himself to Afghans. Haibat Khan put him in confinement till the arrival of fresh instructions from Sher Shah about the fate of robber chief. Meedu Baloch, however, refused to surrender and kept himself in the fort. He and his men, numbering three hundreds, put their wives and children to death and decided to fight the Afghans to the last man. But next day, for some reason, Meedu Baloch and his men also surrendered themselves to Haibat Khan Niazi. Both Fateh Khan Jat and Meedu Baloch were put to the sword on the orders of Sher Shah. Haibat Khan then marched against Fath Khan Dodai, who was stationed at Multan. Fath Khan was defeated and Balochs were expelled from Multan. The people of Multan took sigh of relief as their country was in great disorder and desolation by the oppression of Balochs. Balochs were expelled en mass from Punjab. 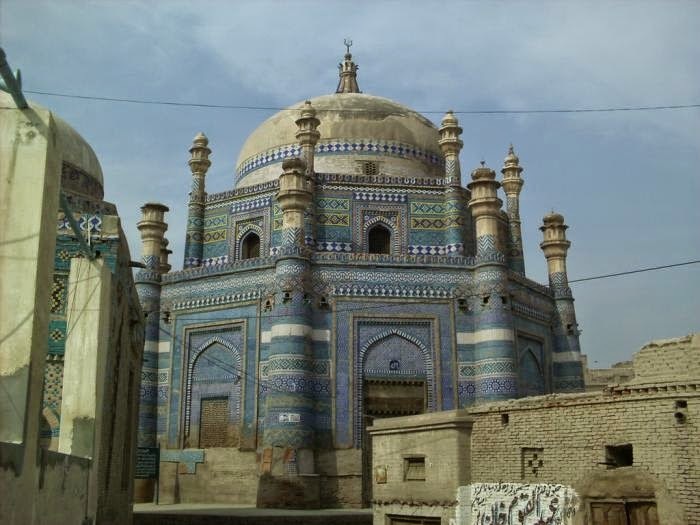 Haibat Khan brought peace and prosperity to the region in short time and repopulated Multan. After fall of the Sur dynasty in 1555, Balochs , who were earlier expelled by Haibat Khan, returned back to Multan. Naghars are Ghurghast Afghans. As a dynasty Naghars rose to power under Islam Khan Naghar during the reign of Sultan Bahlol Lodi. Islam Khan Naghar was in possession of southern parts of Multan province including Sitpur , Muzaffargarh, Dera Ghazi khan and Kashmor in Sindh, all then on the right bank of the Indus. He cut himself adrift from Langah at Multan and set up an independent government at Sitpur. But the Mirrani Balochs, who had settled in Multan as retainers of Langah Jats, grew in power and soon came into conflict with Naghars who had extended their dominion North-ward from Sitpur over Harrand and Dajal. Mirrani Balochs under Ghazi Khan were able to dispossess Naghars of some of their tracts 1482 A.D. The diminished Naghar territory was soon divided between Kasim Khan , a grandson of the first Islam Khan, who held the southern part and resided at Kin ,and Islam Khan his brother who held the northern, with Sitpur as his seat. Kasim Khan developed a feud with Islam Khan. Kasim Khan invited and allowed the Mazari Balochs to settle on his territory , hoping to use them against his brother Islam Khan. But the Mazaris turned against him and expelled the Naghars from Kin in 16th century. The Naghars of Sitapur fought some losing battles against Mughals during the reign of the Emperor Jehangir and Shah Jahan. Their strength greatly weakened due to war with Mughals, providing the chance to Balochs to appropriate their country. Kulachi is a Tehsil in Dera Ismael Khan district named after Kulachi town. It was once inhabited by Kulachis, one of the three branches of Dodai Balochs. They founded the present-day Kulachi town. Lohani Afghans conquered this Baloch area in the late 16th century and their chief Khan Zaman Lohani gave this area to the homeless Gandapur Pashtuns. Gandapurs expelled most of the Kulachi Baloch from the area and reduced the remnants to the status of denizen. These Balochs are nowadays considered Jats. In 17th century, Brahuis, centered at Kalat, formed a confederation with Baloch tribes and hoped to annex the fertile Afghan area of Kachchi-Sibi belonging to Panni tribe. They were assisted in their designs by some of the tribes of Afghan roots like Raisanis. Under the leadership of Mir Ahmad Khan, from Kambrani tribe of Brahuis, the Baloch-Brahui confederation clashed with Panni tribe led by Mirza Khan Barozai. In sixteen battles with the Barozai chief of Siwi, Mir Ahmad Brahui's forces were defeated in each encounter with their forces. A seventeenth engagement took place at a spot called Pir Lehkan in which neither party obtained a decisive result. In 1695 , the Khan of Kalat received the intelligence about absence of Mirza Khan Barozai from Sibi. He planned a well thought-out attack on Sibi. Skirting Sibi and Dhadar he reached unnoticed above the Silachi village of Talli, and thus caught Rahim Khan Pirani (commander of Pannis of Sibi) unprepared. The latter ,shocked and surprised, faced the forces of Kalat on the Luni irrigation channel. For lack of infinitive and timely decision on the part of Rahim Khan, Pannis lost the battle. Nawab Mirza Khan learnt about this debacle in Shikarpur (located in Sindh, it was in possession of Panni Afghans at that time) . He rushed to Sibi ,organized a Panni lashkar and headed for Kalat. The Khan of Kalat gathered his force in the fort of Kalat. After a few skirmishes both sides thought it prudent to negotiate terms. 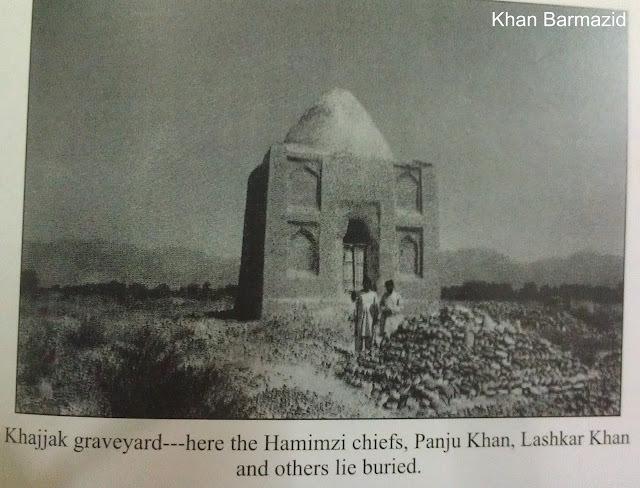 Peace prevailed between the two tribes, which was sealed by a happy marriage of Princess Mahnaz , the daughter of Mir Ahmad Qambrani with Said Khan Barozai Panni, the brother of Mirza Khan Barozai. According to G.B. Malleson, (History of Afghans p-233) Mir Wais Hotaki after having captured Kandahar sought and enlisted the support of the Balochs and Tarins of Kalat and Quetta region. But during the lifetime of Shah Hussain Hotaki (son of Mirwais Hotak and last ruler of Hotaki dynasty) , Khan of Kalat began encroachments on the Afghan area of Shal (Quetta) and took possession of its town and Kot or fort, situated on a high mound in the middle of a plain; and such a mound the Afghans of the Kasi or Kansi tribe, to whom the tract belonged, call "kwata'h" in their language. Shah Hussain Hotak, the King of Kandahar, determined to recover the lost territories and reduce rebellious Balochs to submission. In the beginning of July 1733, Shah Hussain Ghilzai set out from Kandahar with a force composed of Afghans and Hazara levies. He first crossed the Khojak Pass and reached Pushang or Pishin. The Ghilzai King put the fort in Pishin into an efficient state of defense, left a garrison to hold it , after which he crossed Kotal-i-Gaz into Shal (Quetta). The Balochs had taken position within a fort (on a mound or Kawatah) and sallied out under their leader Salar Khan, however, he was defeated. After another sally having again been unsuccessful some days after, the Balochs under cover of night , evacuated the place and made for Mastung and Kalat. Shah Hussain occupied the fort with 500 Jazailchis and a body of 200 cavalry under Sher Dil Khan Babuzai and then pushed on to Mastung. On his arrival, Shah Hussain found the Baloch had abandoned Mastung and had fled with the others from Shal towards Ganjaba Kachhi area and Kalat. Orders were given to pursue them and a body of the fugitives was overtaken on the boundary of the Kalat district. The Baloch took to the hills, leaving their families , cattle, flocks and other property in the hands of the Afghan force under Asadullah Khan Ishakzai Hotak, who left the women and children unmolested, but secured the rest. It is also stated that during this expedition, the Marlani Balochis of Dera Ghazi Khan also suffered. Some of the Shah Hussain's troops having entered the boundary of the territory held by Ghazi Khan, the Marlani, these Baluchis foolishly molested and harassed them, upon which the Ghilzai Shah gave orders to sack the Dera of Ghazi Khan, which was done. Many of these Baluchis were killed in this affair ; and from that time the downfall of Ghazi Khan's family commenced (Raverty, Notes, p-612). Hayat-i-Afghan says that entire family of Ghazi Khan perished in this affair. The Lasharis, a Baloch tribe, are settled in the south of Chaudwan (Dera Ismail Khan). From the very beginning the Babar Pashtuns (related to Sheranis) were averse to their presence in their neighborhood. Langar Khan Lashari, the tumandar of the Lasharis, prior to Ahmad Shah Abdali period, founded a settlement and named it Langarkot. This added fuel to the fire. The Babars attacked the Balochs and defeated them after a fierce battle. It is said that the battlefield had become red with the blood of those killed and wounded. Since then that site is called "Sur Oboa" meaning red water or canal. However, in post Ahmad Shah Abdali period peace prevailed in the area. The Babars remained dominant until the arrival of Ushtaranis in the area. In 1737, the Baloch came in contact with Nadir Shah Afshar. As the stories of the success of Nadir Shah Afshar spread, the Brahui Khans of Kalat abandoned the Afghans and went over to the side of the Persian despot. Major H.G. Raverty on page 613 of his Notes writes that on 22nd April 1737 AD, the sons of Mir Abdullah Khan of Kalat, namely, Mir Mohabat Khan, Mir Iltaz and Mir Nasir Khan visited Nadir Shah at Kandahar. According to Nadir Nama the latter confirmed Mohabat Khan as ruler of Kalat. The younger two brothers with their stepmother named Bibi Mariam remained behind with Nadir Shah who granted them the revenue of Shal/Quetta district, which belonged to the Kasi Afghans. Subsequently he cancelled this grant as Mir Nasir had killed his brother Mir Iltaz. However, subsequently Nadir Shah further allotted a portion of Kachh-Gandawah tract that also belonged to the Panni Afghans. On assassination of Nadir Shah Afshar, Ahmad Khan Abdali and Mir Nasir Khan of Kalat returned to their respective homelands. They had become acquainted with each other during the long period of their service with Nadir Shah. Mir Nasir Khan of Kalat did not stay at Kalat any longer and soon went over to Kandahar. He was present at the time of the coronation ceremony of Ahmad Shah Abdali. However, the latter confirmed Mohabat Khan as ruler of Kalat. According to G.P. Tate, in Appendices to his Memoirs On Kalat, Mohabat Khan killed Muhammad Talib Kansi on whom Ahmad Shah had conferred the office of Arbab. The King replaced him with Mir Nasir Khan. Qazi Nur Muhammad in Jang Nama ,written 1764 AD, says that Shal was granted to Mir Nasir Khan by Ahmad Shah as a reward for his jihad against the Sikhs. However, Akhund does not make mention of this grant while Pottinger (Travels in Balochistan and Sindh) says that Shal was given to Nasir Khan for his bravery in the battle of Mashhad. Of all their external foes (of Kakars), the Baloch is the much ancient and hated. Though for a long time past they had no hostile collision of any importance, they are divided by the remembrance of mutual injuries, and are ever on the look out against each other. About a 100 years since a famous engagement took place in which Tamas Khan (Santiya Kakar) led his clan to signal victory. The occasion, happened thus ; Nasir Khan , a Wali of Baluchistan , angered by the raid of a Kakar , marched into Shal (Quetta) at the head of 6,000 men with intent to crush his troublesome neighbors. A force like this was not be rashly withstood , and the Kakar clan (the Santiya) retreated in a body to Dozakh or Dozhak , a stony table-land lying west of Zori valley high up among impassable mountains , and the only access to which is a steep pass. The Baloch , finding no means of approach from Shal , came from the side of the Hanna valley, and after climbing a high hill , reached the mouth of a narrow precipitous defile from whose summit they could easily pour down upon the entrapped Kakar. The wary Santiya leader Tamas Khan allowed the enemy to reach the last steep , and as they were struggling up this, already within sight of success, suddenly burst upon them with impetuous onslaught, drove them down headlong and destroyed them almost to a man. Since then the Baloch have shown disposition to keep aloof from the Kakar. The Hasnis are of Tor Tarin Origin and their ancient home was in Pishin. Though Hasnis are now an unimportant group, amalgamated with Khetrans, they were in former days the most powerful tribes of Sewistan.. About three and half centuries have elapsed since Hasan and Musa Khan, Tor Tarin,with their families wandered to the Marri hills in search of livelihood. They took service with the Marris as Shepherds, and at length a Marri carried off Musa's wife. Hasan came to Pishin for help. The Tarins dispatched a party of 12 men with Hasan who was able to recover Musa's wife and kill her abductor,but a feud was thus established between the Marris and Hasnis as the Marris called their opponents from the name of their leader. The Tarins made repeated attacks on the Marris, turned them out and occupied Kahan, Phelawar and Nesao. Hasan was subsequently killed in a raiding expedition against the Brahuis in Bolan. He was succeeded by his son Muhammad, who manged the tribe for 20 years and lived in peace with his neighbors. On his death his son Nur Muhammad succeeded him. He was the chief of tribe for 30 years, and during this period Hasnis the summit of their prosperity. Nur Muhammad was succeeded by his son Sadiq Khan who permitted the Marris to build a fort and live as "hamsayas" at Kahan. The Marris, however, gradually collected together and fought with the Hasnis at Phelawar, where 200 Marris and 100 Hasnis were killed. Peace was then concluded, but at the end of year quarreling again commenced with reference to land. The Marris, now applied to Nasir Khan Brahui of Kalat for assistance and he sent a force to help them ; the Hasnis were defeated by the combined Marris and Brahuis and retired to Kohlu, which in those days belonged to Zarkun Afghans. This was about 1780 AD. Subsequently another fight ensued at Daola Wanga, when Sadiq , the Hasni chief , was killed and the power of Hasni tribe was completely broken. The place had since been called Sadiq Wanga. Sadiq's son however continued to fight against the Marris and he was assisted by a Luni force, but was again beaten; 58 Hasnis and 38 Lunis fell, whilst the Marris only lost 17 men. A further attempt resulted in total destruction of an advanced party of Lunis under their chief Gul Khan. This defeat resulted in the dispersion of the remainder of the Hasnis. In 19th century, chief of Lunis, Paind Khan collected a force of 800 men , and attacked some Marris who were living with the Khetrans. Babul Khan, Khetran, claimed the restoration of property looted, but the Lunis declined to give it up. In the fighting which ensued, the Lunis were at first successful , but the Khetrans and Marris at length collected in such large force that Lunis were obliged to retire towards Lakhi. In 1817 AD, the Khajjaks (a branch of Panni Afghans) consolidated their supremacy in the region by defeating the Brahuis. Mir Muhammad Khan Shahwani , at the head of big lashkar , attacked the Barozai of Sibi. The Khajjaks offered stiff resistance. 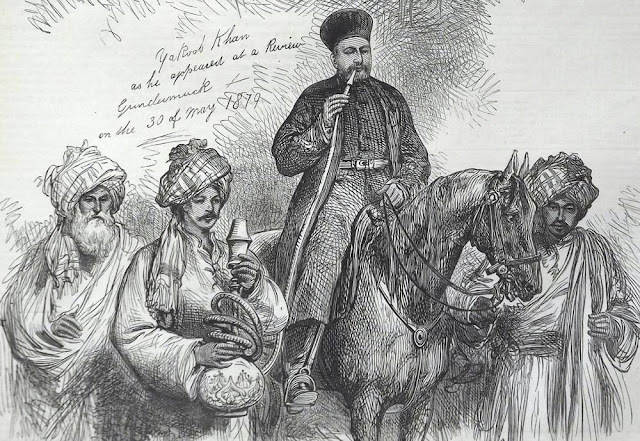 Mir Mahrab Khan, along with Akhund, was then at Ganjaba. He was instructed by Khan of Kalat to raise more fighting men from the local Sarabani Afghans at Bhag and re-attack the Khajjaks. Mir Mahrab Khan, with his son Mir Mubarak, also moved to Bhag.The former was seriously ill and Mir Muhabat Khan Shahwani, who was on his way to attack Sibi, had to be called back. Mir Mahrab Khan died and Brahuis attack on Sibi fizzled out. The Khajjaks emerged victorious. In January 1876 the Masori Bugtis attacked and looted the Zarkuns of Kohlu (a branch of Panni Afghans) who pursued the party and killed 14 of them. A few months afterwards another body of Bugtis, which came to revenge the death of their comrades, was attacked by the Zarkuns, and its leader Haidar Khan was killed with 28 others. The Marris fomented the strife and gave passage through their country to a force,consisting of nearly all the Bugtis led by their chiefs, the Zarkuns were outnumbered, the Kohlu valley was sacked, 70 Zarkuns and 27 Bugtis were killed.Their settlements were burnt. The Marris, who had previously acquired Gamboli and Mamand from the Zarkuns, invited them to return to Kohlu and the Marri Chief Ghazan offered them an offensive and defensive alliance against the Bugtis. The Zarkuns returned to Kohlu and Ghazan Khan Marri died soon afterwards. In July 1878 the Zarkuns, few and weak, yielded to the Marris, who took three-fourths of the valley themselves and left a fourth to the Zarkuns. The Musa Khels in 19th century were generally well equipped with matchlocks , and on account of this were held in great respect by the Balochs who possessed comparatively few firearms . However , they had no horsemen and found it difficult to make distant forays. The feuds existed between the Musa Khels and the Baloch neighboring tribes , namely, the Hadianis, Durkanis , Bugtis, and Marris since time immemorial. For many years the Musa Khels had been incessantly plundered by the Hadianis and Durkani (clans of Lashari Balochs) ; both are sub-divisions of Gorchanis. The Marris and Bugtis also considered the outlaying Musa Khel settlements as a fair game but didnt always have their way with them. Once a big party of the Marris. in 1880, made a successful raid and were returning , apparently unmolested , to their homes with a large drove of captured cattle. The Musa Khels intercepted them at the Han pass and not only recovered their property and cattle but also killed anumber of the Marris. The latter didnt attack the Musa Khels for quite sometime. Nevertheless , other Baloch tribes didnt for many years didnt miss any opportunity and raided the unguarded Musa Khel caravans . The Musa Khels to protect themselves , entered into an alliance with Kibzi Kakars of Sehan. Thus reinforced, they counter-raided , with considerable force , the Hadiani and Durkani settlements. The aggressive Balochs were now demoralized by the enterprize and hardiness of the Musa Khels who followed them to the recesses of the mountains , which they had hitherto considered inaccessible. The Musa Khels forced them to move from the higher and exposed mountains to the low hills on the border of Dera Ghazi Khan District. In March 1883 , Mr Fryer, the Deputy Commissioner of DeraGhazi Khan decided to settle matters between the Musa Khels , Hadianis and Durkanis. The Musa Khels responded to his peace efforts , however , they had apprehensions about the Balochs whom they thought would violate the settlementand might catch them off-guard. The deputy commissionaire gave an assurance that he would influence the Baloch chiefs to keep the peace. There after peace prevailed in the area with the exception of minor crimes.